Home phones are no longer the poor old relative of communications technology. With high-specifications and stylish models now available in the market, landlines are quickly coming up the curve and are set to win hearts, yet again. As more of us shun the landline in favor of our increasing dependency on mobiles, many seem to assume that there isn’t much scope left for innovation in the home phone arena. However, companies selling these phones are adding a zing to the telephone sets and bringing them back in style. In one such move, Uniden has recently released its stylish Modro series of residential phones. 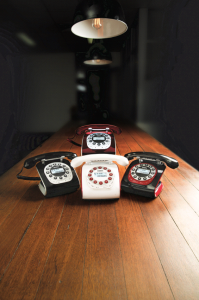 Created for those who love a little vintage design at their fingertips, Uniden’s new Modro range is a throwback to the classic rotary dial telephone. A lightweight and portable unit with a pop of color, the phone has all the essential features and styling required for a modern home or office landline. The new Modro range includes cordless and corded options with push-button digits arranged in a traditional circular style. The phones sport a smart LCD and Caller ID display as well as a digital duplex speaker phone to facilitate effortless, hands-free conversations. The Modro also incorporates a digital time and date display. Both phones have built-in answering machines with pre-recorded “we’re not home” messages, also offering the facility to record your own. The Modro can store 50 phonebook entries allowing you to keep your most frequently used contacts handy just like a cellular phone does. All in all, we can expect the new Uniden landline sets to offer at least some of the basic features of mobile handsets, of course without the hassles of charging phone batteries. Also, with the level of reliability and voice quality that a cellphone can’t match, these stylish landline phones are sure to appeal people in their own way. Are You Using Landline Phones in Office? Recent decades have seen some impressive advances in phone technology for businesses. Landline telephones haven’t completely gone away, even though businesses have also started using cell phones, smartphones and digital voice technologies to stay in touch with customers and colleagues. While, many of them choose to utilize a combination of telephones, more and more companies still prefer to communicate using landline phones due to their higher reliability. For companies with an office or store and with more than one employee, relying solely on the mobile phone technology can be risky. In this case, a landline phone system is the most advisable option. Many successful companies advise employees and other organizations not to switch from an office-based phone to a cellphone exclusively. Although companies continually look for options that help businesses reduce costs in all areas of operation, they can leave the cost-cutting part for other areas of lesser importance. Communication is something they should not risk for anything in return. While companies focus on cutting costs, using a mobile phone can cost more in the end because it can be frustrating to customers who can’t hear you clearly on the phone. Somehow, the entire idea does not serve the purpose of a growing business because it seems to convey to the client to the client that a company cares more about saving money than delivering good service. It may also send the message that a company perhaps does not have the money for an office with a land-based phone. Landline phones may be the most old-fashioned, but they still have their importance intact and are still the favorite of many businesses. 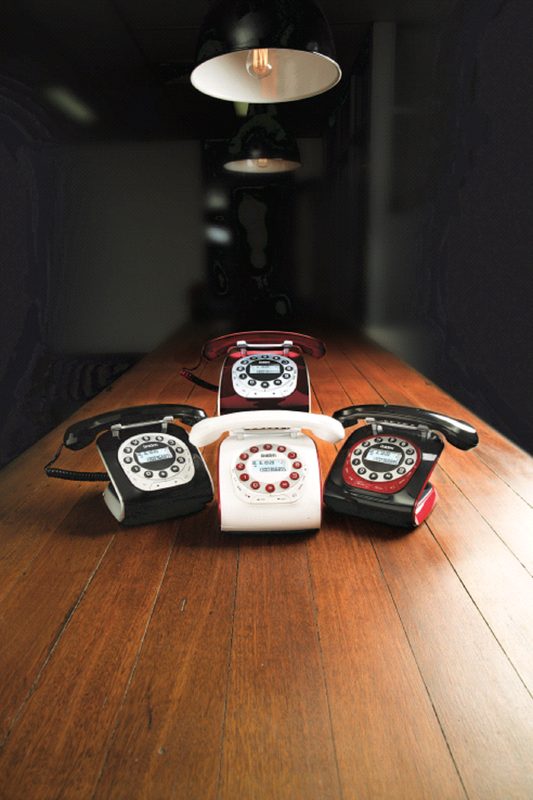 Landlines can offer a level of reliability and voice quality that is not always achieved by using cell phones. Some businesses may be located in areas that don’t have good cell reception or broadband access. Companies nowadays are becoming more and more aware of the valuable benefits landline phones have over cellphones and are becoming inclined to keep the familiar landline technology around. In recent times, the use of the telephone for business communication may have reduced to an extent owing to the advent of the computer as well as the internet. From the business standpoint, specifically, landline telephones still score higher than cellphones when rated on communication satisfaction. 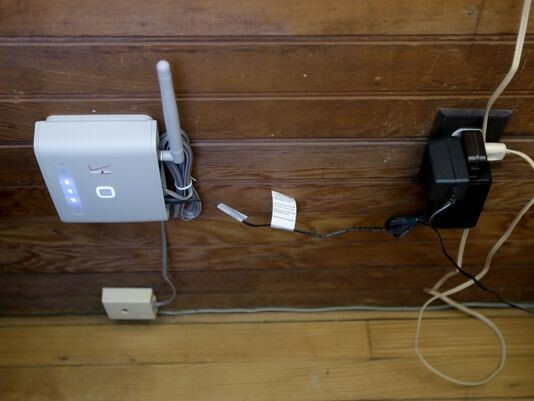 A major reason for this is that business networks largely depend upon landline connections so as to establish user identification, have clearer communication that does not get interrupted by low signals, and have a lasting reliability on a reliable device that does not need charging. Talking to a person over the telephone is the next best way of communicating, after talking with someone face-to-face. For long distance situations where a personal meeting is not possible, a phone call is the best way to get a quick personal response. With other forms of communication such as texting or email, you leave a message and hope for a quick response. In many cases, responses get delayed for some reason and become a source of stress if the business requirement demands a timely action. Among the well-known three components of effective communications, body language accounts for 55%, tone of voice for 38% and spoken words for 7%. Voice tone is given its due importance because it gives dimension and emotion to words. Over the telephone, it further increases the effectiveness of the communication as body language cannot be assessed in that case. Yet, certain aspects of body language, such as smiling and walking while talking, tend to come across in a telephonic conversation. The teleconferencing feature in landline telephones is a feature that has crossed the barriers of the traditional two-way communication on a telephone. It brings people together from all over the organization at a fraction of the cost of travel and meeting facilities. Conference calls, when used along with video conferencing, bring the essence of a personal meeting to the communication as presentations are viewed, questions are asked, and answers are discussed among a number of people attending the call. The above factors and many more are the benefits attached to using telephones in office. These benefits out way those of other channels of communication and help businesses grow. 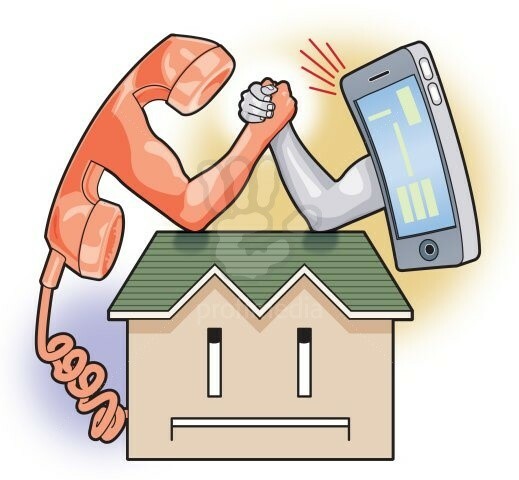 Landlines vs. Cellphones: To have or not to have? We are a nation today that functions efficiently because of being ‘connected’ at all times. Aside from the more important study and work related calls, you are available when even your grandmother is texting. No matter what the mode of communication, people nowadays seem to be available around the clock! But with consumers skeptical about spending money on anything more the basic requirements, we tend to question on the need to possess multiple modes of communication. In such times, we ask ourselves: do we really need a landline phone while already possessing a cellphone? 911 location tracking. If a call is made from a residential phone, the dispatch centers can find the exact address where landline calls originated. With wireless phones, emergency responders can only figure out an approximate latitude and longitude of those phones. The problem seems small on the face value but is actually not. In emergencies, for instance, when someone needs assistance because they are having a heart attack in their apartment, even if the dispatch center nails their cellphone’s location, it won’t make out which floor the patient was calling from. More reliability. Living in this age, we all know the feeling of having an important call dropped, mid-sentence, due to a poor cellphone signal. Home phones do not leave you in the lurch. No running out of charge. You know your mobile handset needs charging but you miss doing the task and the result is your device ditches you right when you need it the most. The reason is lack of attention in our hectic schedules. No matter how dear we hold our cellphones in our bags, pockets, and purses, the fact remains that they can’t stay there forever. We claim these phones to be portable but they become as stationary as a landline when plugged in for charging and even worse, they become as useless as a brick when they run out of battery power! Yet, we hesitate to say chuck one of the devices entirely. Thanks to the recent convergence of technology between landlines and cellphones, phones have gone a technological step higher with the ‘Connect to Cell’ technology. For anyone who wants the best of both worlds, this is one answer. So, if you’re seriously entertaining the idea of going solely mobile, remember that it may not be time to cut the land-line cord just yet. A lot of discussion about the importance of reliable, affordable phone service has been doing the rounds. Following this, some people are attempting to get the New Jersey lawmakers to overlook the facts about the inadequacies of fixed wireless service for which many New Jersey consumers are being coerced. It is true that Verizon is required by state law to make the basic, affordable, and reliable service available. Verizon’s landline phone service has been serving that purpose for years now, and has therefore become a trusted source for the New Jerseyans, old and young alike. We know for a fact that thousands of older New Jersey residents particularly rely on their landline for a number of reasons, including health and safety. Many feel the dependence on medical monitoring systems that will not work without a reliable, conventional landline. Many have home security systems, which work depending on that same landline. Most important of all is the fact that landline phones provide relentless support during tough times like the Superstorm Sandy. At such a time, there surfaces only one reliable connection to the outside world, one lone ray of hope, when power goes out and cell towers turn down. Verizon should have the right to market VoiceLink as an optional service people who are interested. But yes, it should only remain like an optional service and not a mandate. Community progress should be given the required platform and space to grow. And it is to be appreciated as well as understood that someday, a technology will be introduced that will be more cost-effective, more affordable for consumers, and will represent a step forward in innovation and reliability. Until then, reliable, affordable phone service remains a necessity for many New Jersey consumers. To allow Verizon to step away from its service obligation could be a step toward isolation, and away from help, for those who depend on their phone service the most.